Not only are we racers, but we provide race coverage on MTBRaceNews.com to help provide proper media coverage for the best mountain bike races. 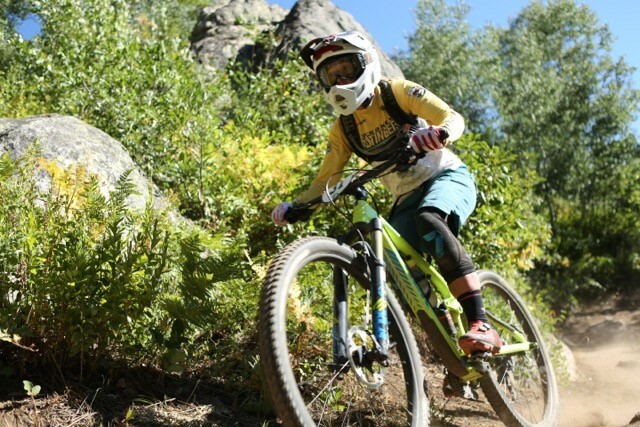 Marlee Dixon won Firecracker 50 in 2016 and is consistently on the podium at BreckEpic. 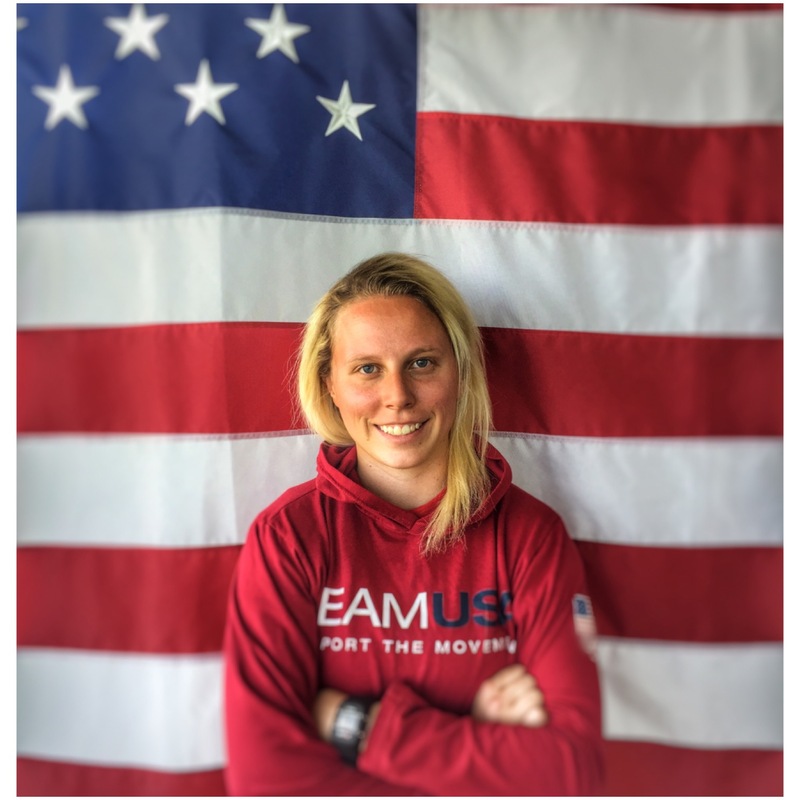 Karen Potter has been dominating XC to marathon to ultra endurance races back East for years. She recently won the Hampshire 100k. Jen Hanks is a 2-time breast cancer survivor. 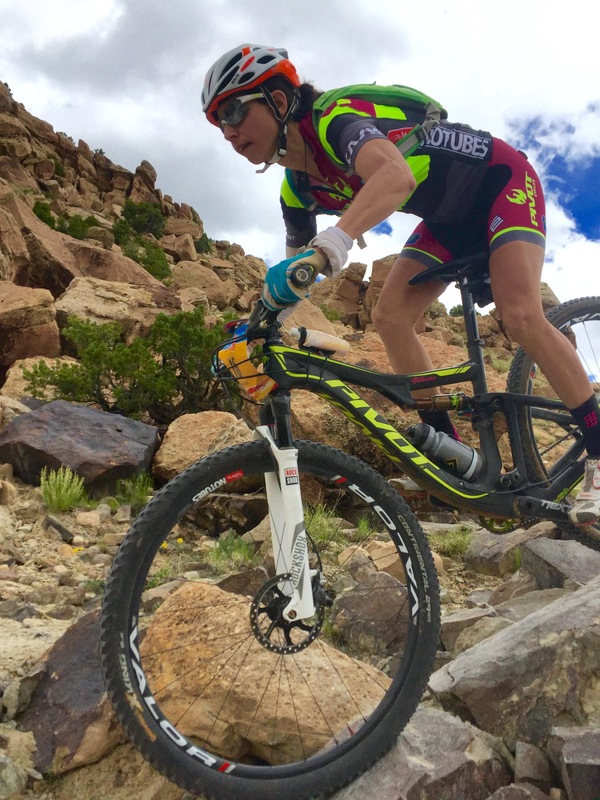 In 2016 she placed 3rd with teammate/husband Shannon Boffeli at TransAndes. During TransRockies – sharing porta-potties with 1,000 dudes while camping in the wilderness for a week. 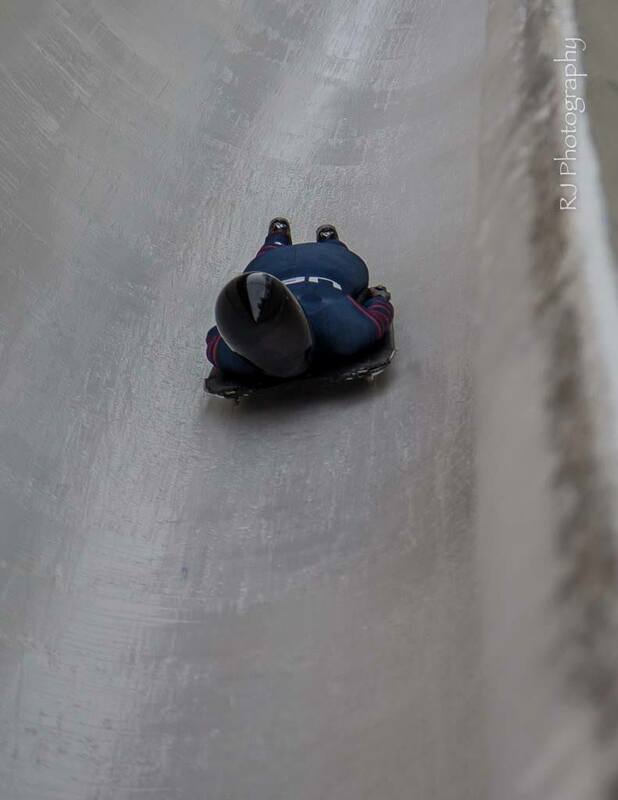 If you can do that, you can do anything! 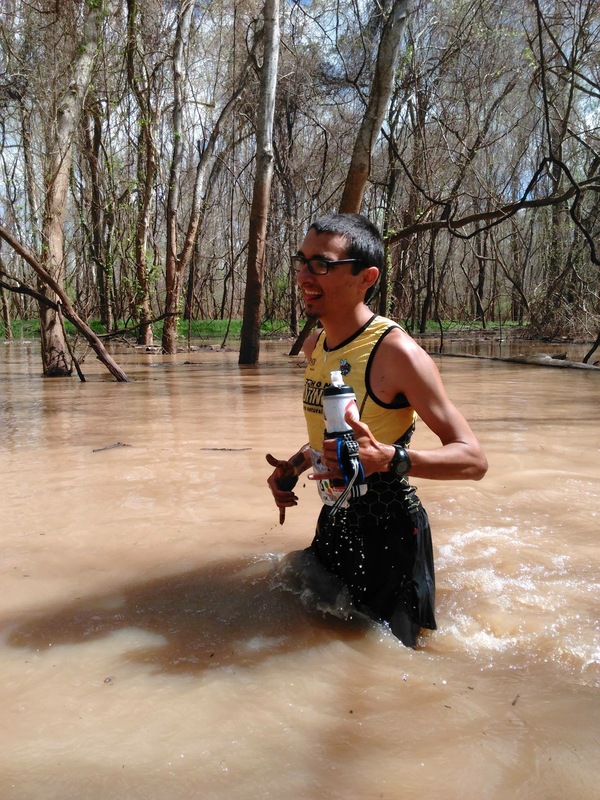 Race prep never goes perfect; don’t sweat the small stuff. What animal best describes the team? I don’t know about animal, but you could compare us to a dandelion. We’re pretty resilient! The Let’s Talk Project is a solo, 3,000 mile cross-country journey on foot with the goal of highlighting the importance of face-to-face conversation in a digital age. 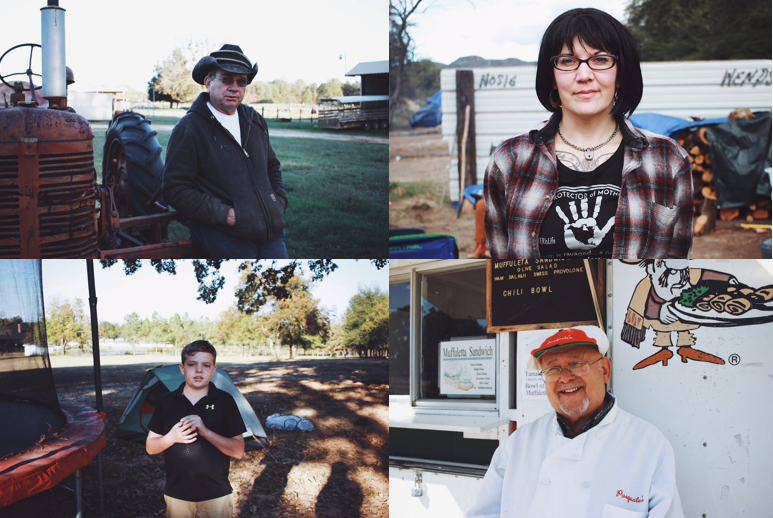 A few portraits to capture who Chris interacted with along his journey. Go to LetsTalkUSA.com to hear more about their conversations. I was in my final year of school at the University of St. Andrews and found myself so consumed by what was on my phone and happening on social media that whenever I had free time, I was pulling my phone out and draining hours into it. I found myself becoming so connected to what was on it that I was disconnected to the people around me. The call to action was when I began to question the effect this had on me. I appreciate what these amazing tools offer us, but I remember thinking there has to be another side to this. In researching, I learned about Sheri Turkle’s research at MIT on the effects of phone usage on patience and empathy, and from there I did more research on conversation as a skill and an art. 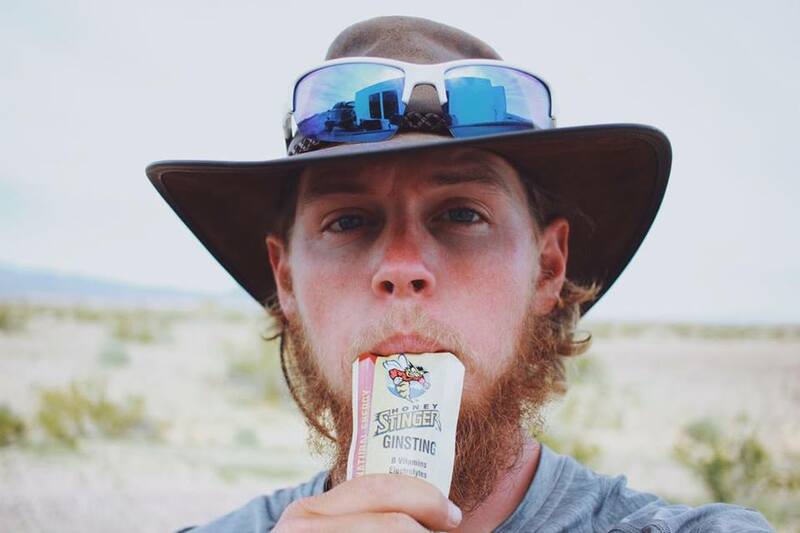 How did you find Honey Stinger, and why did you want us to be a part of your journey? I heard about Honey Stinger through a friend and loved your message. Honey Stinger’s phrase ‘Sting or Bee Stung’ can also apply to how we engage with technology. That’s a lot of what Let’s Talk deals with, taking your life into your own hands. 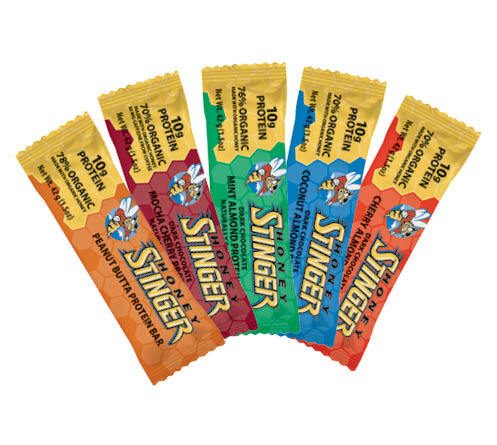 When do you typically use Honey Stinger and what is your go-to flavor? The Classic Ginsting Gel. Usually I use Honey Stinger in the middle of the day, about 2 hours after lunch. The extra caffeine gives me a boost when I need it most! What are a few major takeaways from your project? First and foremost, being able to build strong relationships and engage with the people around us on a deep level is the most important thing that we can do in our lives. I’ve learned about how speed and depth interact. Because I walked at 3 mph and did not drive or fly across this country, I was able to connect with the communities I travelled through in a deep and meaningful way. Similarly, I’ve realized that this relationship between speed and depth is at the core of the Let’s Talk project. When we engage patiently and honestly with those around us, we come alive and experience the true beauty of human connectivity. What are your next steps, once you reach the west coast? Currently I am working on getting a video made during this last month of my journey. This would be something that could be shared and spread across the world. I believe finding a balance in the way we communicate is something that will resonate around the world. 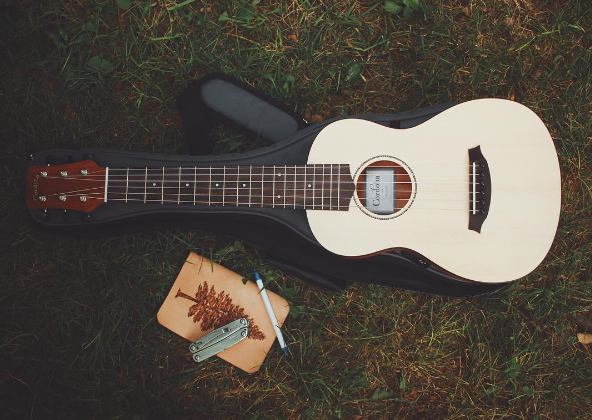 As I am a musician, I am looking forward to releasing an album soon and am considering writing a book as well. How can we follow the rest of your journey? For Let’s Talk media coverage, see links below. Today we announce the introduction of three new flavors of our popular gluten free organic waffles and energy chew products at the 2017 Natural Products Expo West Tradeshow this week in Anaheim, California. 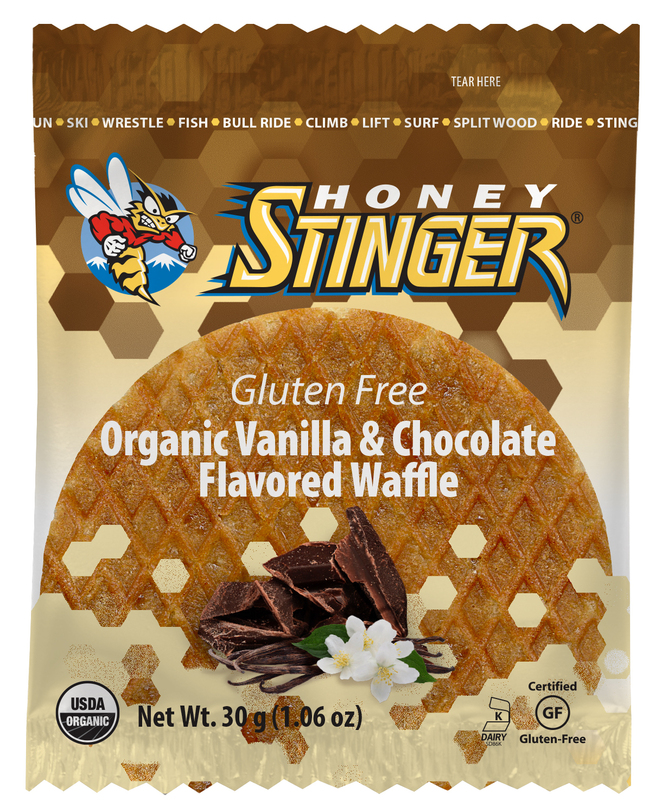 Released this spring, Honey Stinger will add Vanilla & Chocolate and Chocolate Mint flavors to its Gluten Free Organic Waffle lineup (MSRP $1.49 each or $23.84 for a box of 16), as well as a strawberry flavor to its Organic Energy Chew lineup (MSRP $2.25 each or $27.00 for a box of 12). 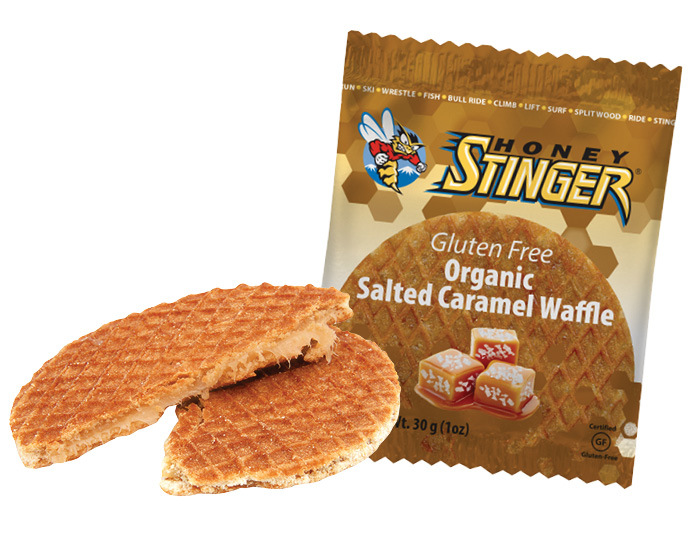 The new flavors will be available for sampling at Honey Stinger’s booth, #3969, at Expo West. New Vanilla & Chocolate and Chocolate Mint Organic Gluten Free Waffles and Strawberry Organic Energy Chews will be available for sale this spring at select grocers, convenience stores and specialty retail outlets, as well as online, through Amazon and the Honey Stinger website. For more information on Honey Stinger, please visit www.honeystinger.com. Thank you! Recently I was on a training ride on a road that I have ridden nearly 50 times. A rough and rutted stretch of two-lane tarmac that drivers would probably characterize as one of the worst roads in the county. But for me, a cyclist, it is a uniquely challenging route that has become my warm-up, due to its proximity to my house. Shortly into the trip I found myself in a precarious position in a groove in the asphalt only slightly wider than my tires and was forced to ride it out. I was relieved to come out the other side without any obvious signs of wear. Can you spot the foil? Quickly I was in the clear and on to smoother roads, the next of which turned upward for a 3-4 mile climb. Everything was perfect. Traffic was low and the sun was high. As my pedals turned over and the rear wheel spun, I started to feel a very subtle (and unnatural) puff of air on my leg. Soon my saddle started to bounce and I knew that feeling was air slowly seeping from the tire. I found a wide section of road to turn out and check the damage. Confirmed – the rut I was in only a few miles before had successfully eaten into my side wall, leaving it worn enough for the tube to blow out with 10 miles to go in my ride. Let’s get one thing clear. I am a cyclist. Sadly, I am not much of a bicycle mechanic. I can change a tube no problem and, for the most part, keep my bike quiet and moving forward. When I saw the size of the hole in the tire, even I knew this was not just a tube switch. Unfortunately, I had only ever read or heard about using a tire boot and had certainly never attempted it. On top of that, my knowledge of booting a tire involved a dollar bill – something I did not have. What I did have was a Honey Stinger Organic Salted Caramel Waffle. I ripped it open and enjoyed it on the roadside while pondering my next move. 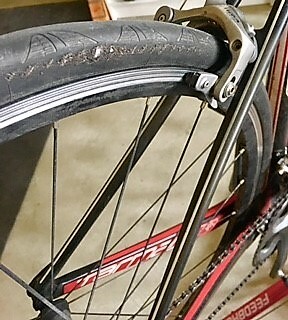 Then it dawned on me, “Energy bar wrappers can also be used to patch a tire!” So I gave it a shot. I folded it a couple times and stuffed it between the tire and my replacement tube, screwed on a CO2 cartridge and pulled the trigger. Perfect! The wrapper from my waffle held, and I could see the shine of the foil filling the hole that had left me stranded. Nervously I headed home, wondering how far I would get. But slowly I started to gain confidence with every mile. When it became apparent that I was going to make it, my ride gave me a rather peculiar sense of accomplishment and gratitude. Thank you Honey Stinger for your support. Not only was the waffle a delicious treat, but also a timely piece of gear that held for the rest of my ride and into the next morning. 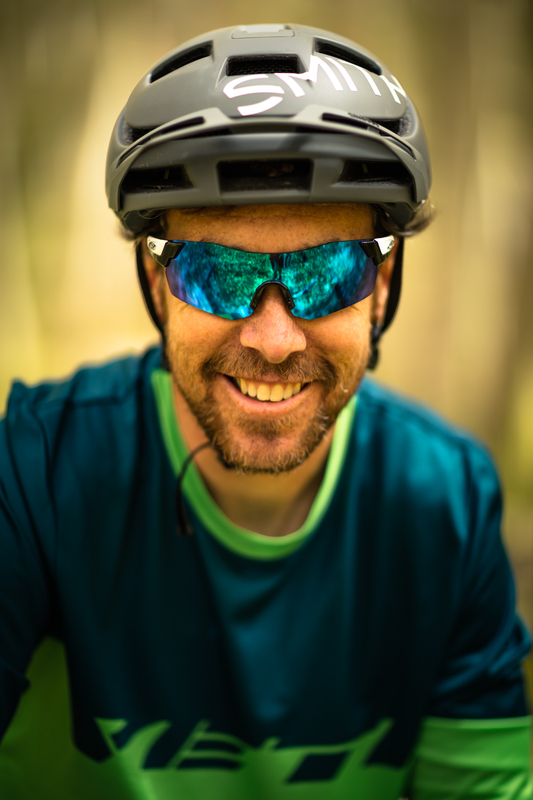 Your “smart packaging” on an already exceptional product saved my ride and added to the list of reasons why I will continue to ride with Honey Stinger. 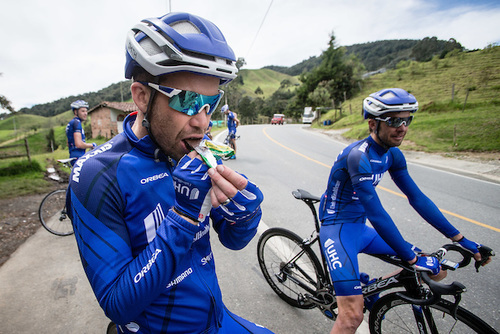 UnitedHealthcare Pro Cycling rider refuels with a Honey Stinger Protein Bar. Photo by Jonathan Devich. Today we are excited to announce our line of protein bars will now contain more than 70 percent organically sourced ingredients. With 10 grams of whey protein in five delicious flavors made with non-gluten ingredients: Dark Chocolate Coconut Almond, Dark Chocolate Mint Almond, Dark Chocolate Cherry Almond, caffeinated Dark Chocolate Mocha Cherry and Peanut Butta, Honey Stinger 70% Organic Protein Bars are a great-tasting meal replacement bar and portable recovery snack. This shift means that ingredients in the Dark Chocolate Coconut Almond, Dark Chocolate Cherry Almond, and caffeinated Dark Chocolate Mocha Cherry Bars are 70 percent organically sourced, while ingredients in the Dark Chocolate Mint Almond and Peanut Butta Bars are 76 percent and 78 percent organically sourced, respectively. 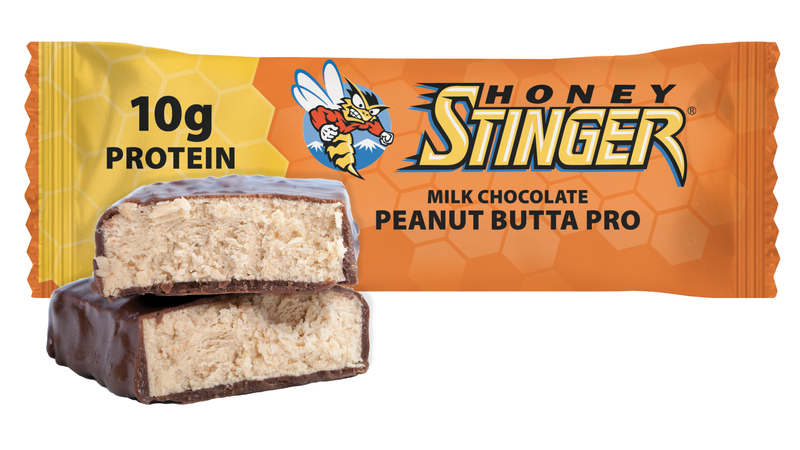 Honey Stinger’s 70% Organic Protein Bars (MSRP $2.19 each or $34.35 for a box of 15 bars) will be available for sale May 15, 2017, at select grocers, convenient stores and specialty retail outlets, as well as online through Amazon and www.honeystinger.com. Full time enduro racing. Dabble in all disciplines for fun. Do you compete on a team or for other sponsors? I am a privateer. My partners are SRAM, RockShox, Yeti, Ergon, Smith, Oskar Blues, Maxxis, Stages Power, TLD Bike, Enduro MTB Training, and MRP. I have won a bunch of races, titles, yada, yada, yada. I am just happy to be pursuing my passions and making a job out of m y love for bikes. I fancy spending time in Whistler, Sedona, and South America. The trails in these particular areas are highly engaging and hold my interest. 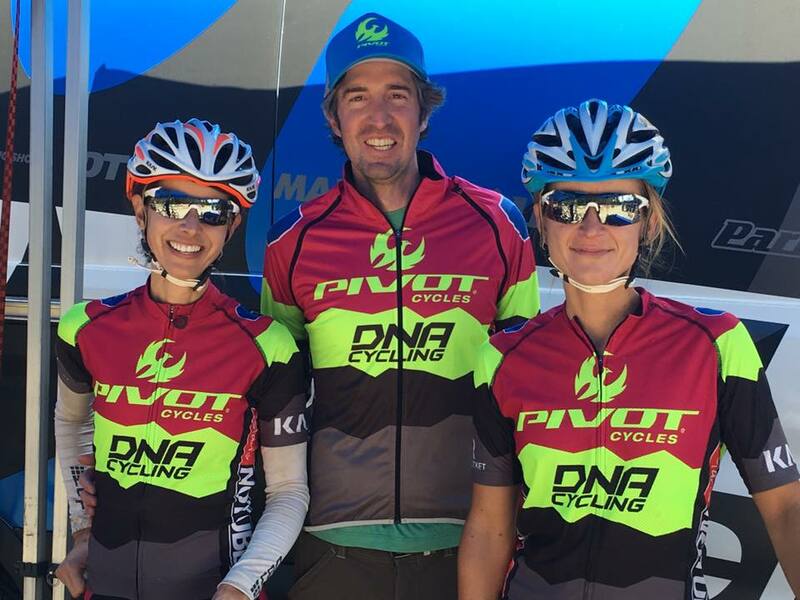 Here is a good story from my most recent race in Moab. I was participating in a 4 stage enduro race at the Klondike Bluff trail system. In Stage 2 I hit the ground really hard and upon getting up, I realized that a camera man caught the entire incident. Perfect. 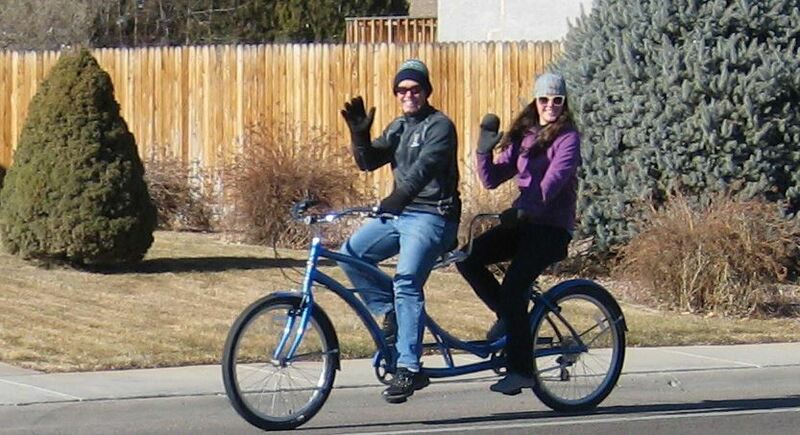 You should have seen the look on his face when I scampered around to get back on my bike. After finishing the stage, I was fortunate to have some help from the friendly medics. Some gauze and tape, and I was on my way. I finished the next two stages, pedaled to the car, and promptly drove myself to the ER. After a few ex-rays, a bunch of bleeding, and 10 stitches, I was merrily on my way out of the hospital. I returned to the race venue, because I never miss a barbecue, and was just in time for the awards ceremony. Well, apparently I ended up winning the race and had to use my bicycle as a crutch to get up on the top step of the podium. Fortunately, flesh heels, beer still tastes good, and the prize money covered my medical expenses. I call it a wash. Wear your knee pads kiddies! Any and every Honey Stinger waffle I have ingested. I never wash the outside of my car. 6 years, true story. Bikes don’t win races, people win races. Don’t get me wrong, I wouldn’t be where I am today without the help of some of the best bike technology on the planet, but it’s not the car, its the driver. Passion and determination win every time. 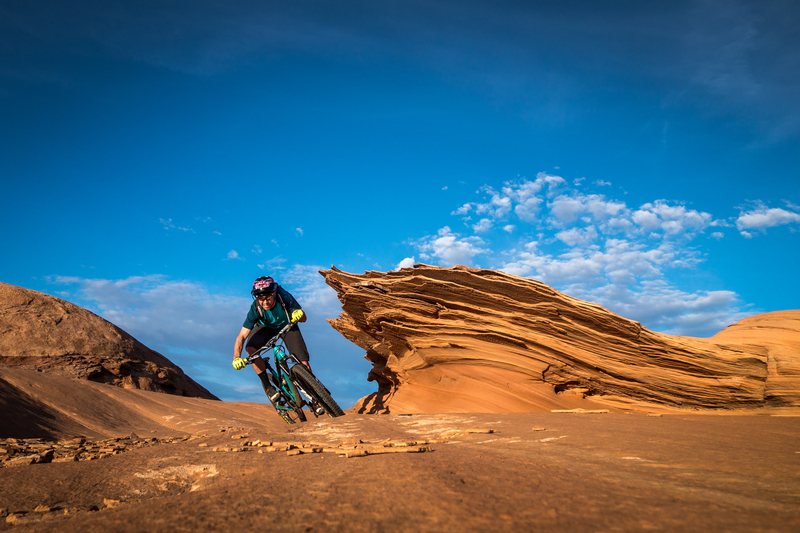 And checkout out his #FollowCamFriday that made Singletracks 2016 Most Popular Mountain Biking Video here! It’s that time of year! Winter has arrived and we are already gearing up for the 2017 season. We are excited to open the Hive for another year and to grow our Honey Stinger family. To find out more about the Hive and if you would be a good fit, keep reading! 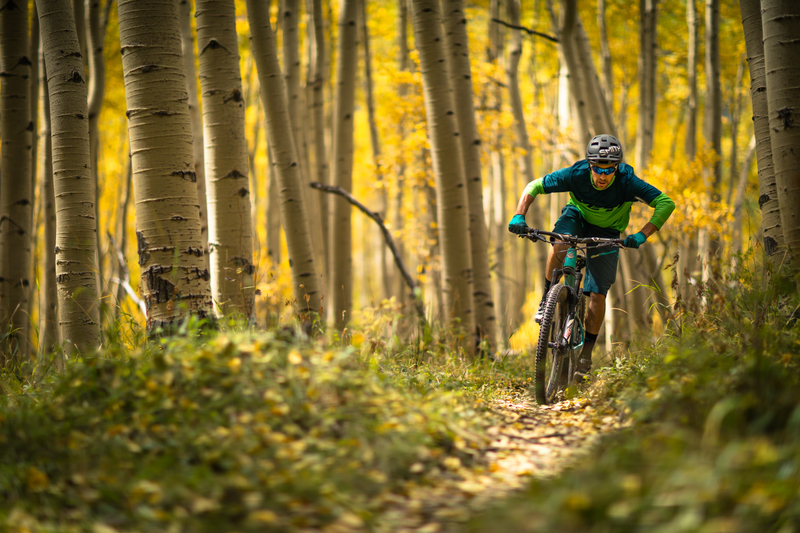 Hive athlete and Honey Stinger/Bontrager Team racer Cooper Dendel crushing the BME in Steamboat. 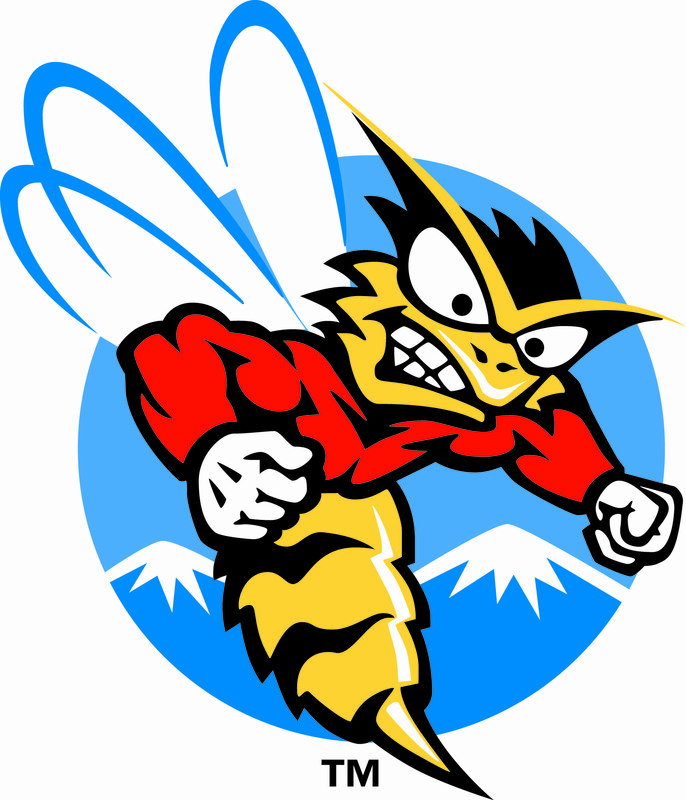 The Honey Stinger Hive is our grassroots sponsorship and ambassador program for athletes and teams. 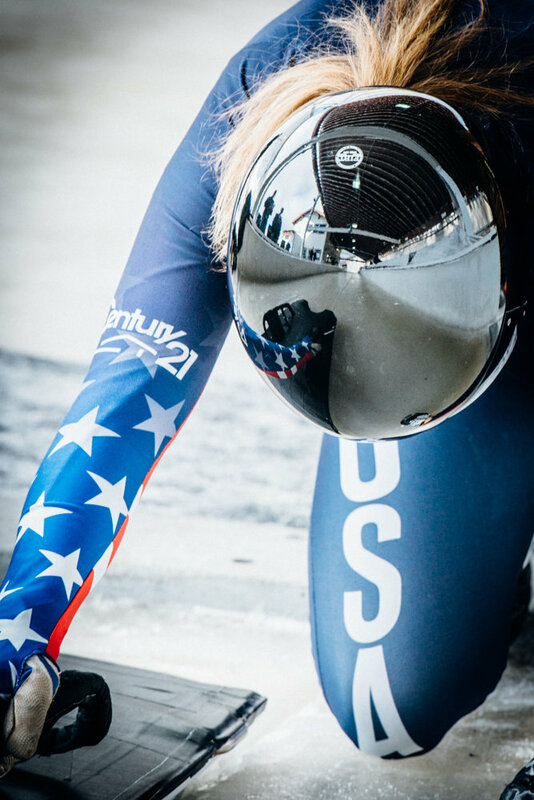 These athletes and teams compete in over 50 different sport disciplines. We have an elite program for professional athletes as well as an ambassador program for athletes of all levels. Look here for more specific qualifications. Our Hive receive exclusive product discounts, Hive only swag, and the opportunity to participate in events with us! Things that our Hive athletes have in common? Hive athlete Andre Fuqua battling the elements at the San Felipe Shootout. What qualities are we looking for in applicants? 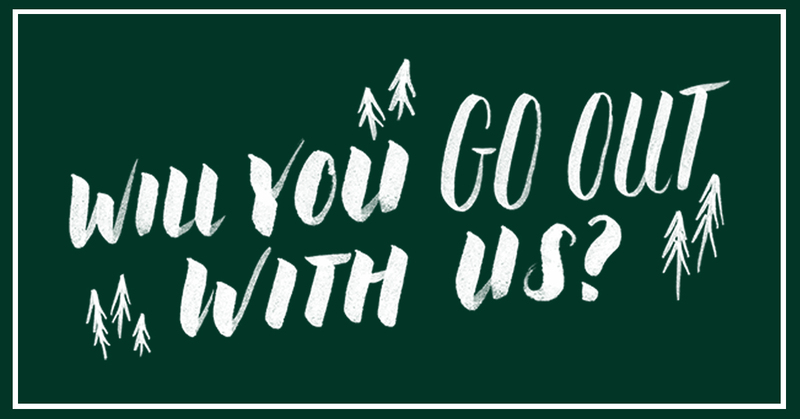 We want to know that you are a fan of our products. Ambassadors unapologetically express to their friends, family, and random strangers that Honey Stinger is their choice fuel. If you have never tried our products, then how can you know if you want to represent the brand? We want you to be able to share your experiences with others, your go-to flavors, and how Stinger impacts your training and competition. 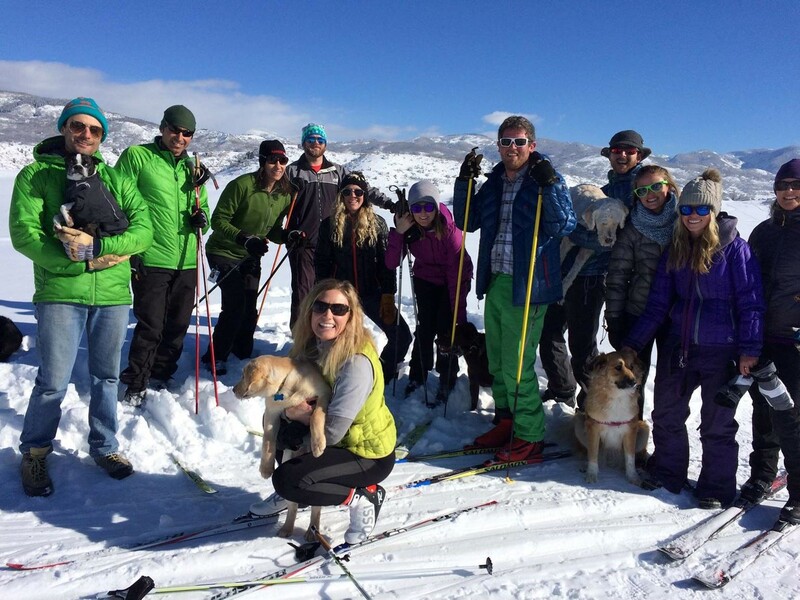 At Honey Stinger we have a daily #OptOutside culture, so Black Friday is no exception. 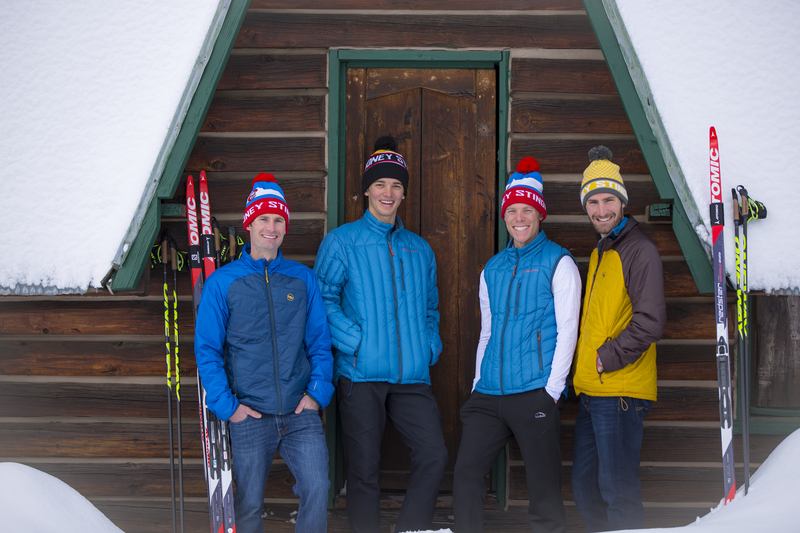 This year we joined forces with REI to get the word out. 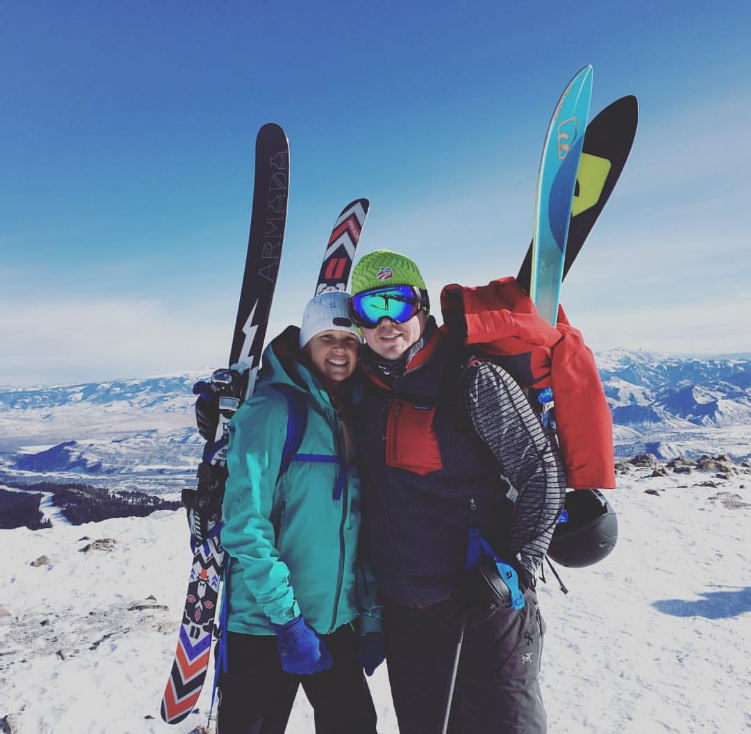 We decided to compile stories and pictures from our staff to give you a little taste of where we’ll be and what our traditions consist of. 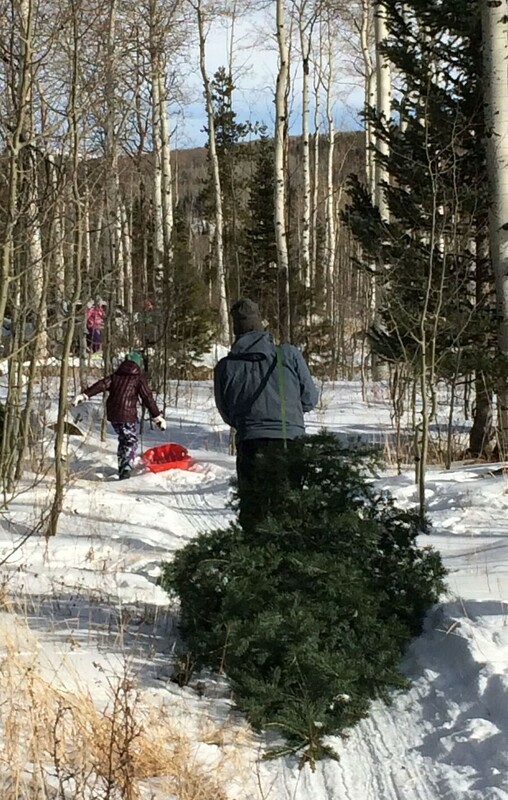 We hope that you will join us in ditching the lines to enjoy the fresh air!